Stoked and honored to be opening the show for Clevelands mighty Chimaira. 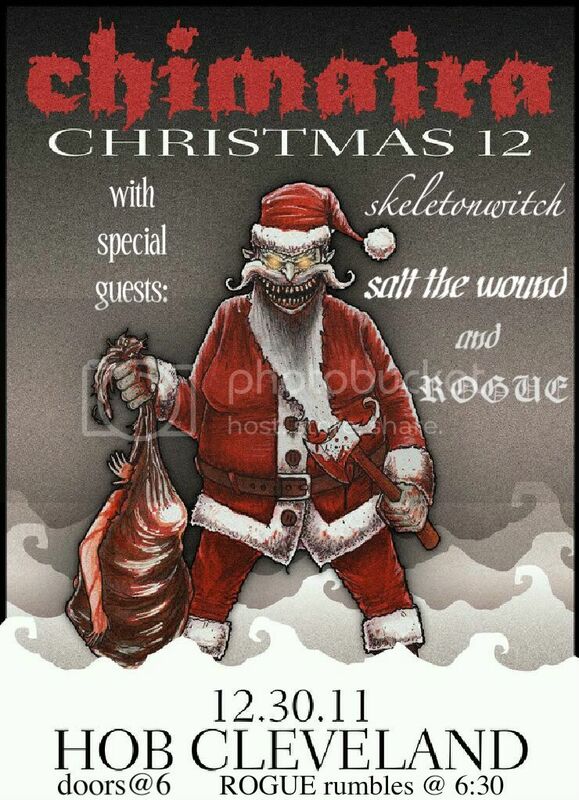 Skeletonwitch and Salt the Wound also will be playing. edited to add that: The World We Knew will also be on the bill. I'll be rocking my Dual Rec. House of Blues, Cleveland, Friday 12/30/11. Doors @ 6, ROGUE opens the show @ 6:30. If you roll up to the show stop by our merch booth and say hey!